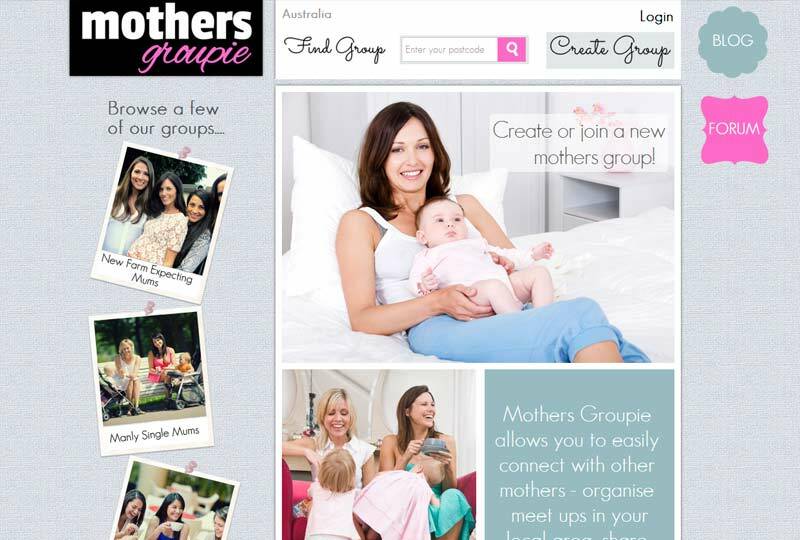 MothersGroupie, is an absolute solution to provide a social platform to mother’s community to create groups with like-minded mothers & make discussions or communicate through messages with them over the website. Mothers are availed with the facility to upload pictures & videos of their babies & themselves with their group members, also start group or one to one chat with them. For implementing all these great features, complete designing and development process was offered by ProMaestros, at affordable price and feasible timeline. MothersGroupie chose ProMaestros for its ability to develop complex websites and providing efficient solutions with logical approach to the requirements. The website has only single version that is running successfully from the date it was released. Detailed description of our services? The project involves development of a cakePHP based social website. The website allows mothers to create groups and discuss with other mothers over the website. They are provided an easy way to upload videos & pictures of their babies. They are able to write blogs, and post their comments over blogs posted by other mothers. We have also developed an extensive feature that allows mothers to chat with other mothers, which can be group chat or a one-to-one chat or communicate with them through messages. Richard (Our client) said: “ Very professional outfit and would definitely hire again. This was a difficult project and their patience and work ethic was appreciated. I recommend these guys to anyone looking to code their project using PHP. ” ProMaestros continues to provide expertise and services in support of MothersGroupie’s ongoing program of website development.